I am a scientist on a mission to research and bring to the general public evidence based alternative treatments of prostate cancer. Though conventional treatment they say is evidence based; there are thousands of researches to prove that most of these treatments are not evidence based. 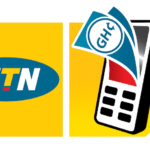 The problem with alternative remedies the medical community always says is that there are no sciences or evidence supporting these claims in Ghana. So I have decided to bring to the general public the evidence of some of these treatments. Treatment is choice and no one holds monopoly on treatment and what even triggers diseases. I entreat you the patient to make the right treatment decision by getting the right information before choosing any treatment. Do not be moved based on advertisement. A Ghanaian Man who has good prostate health has a hundred goals; a person who doesn’t have health has but one goal. Every man has a prostate, but every prostate doesn’t have to make every man miserable. This all-too commonly bothersome gland is the source of a lot of grief as men age. So it’s a no-brainer that fighting prostate cancer depends on finding a better test. It’s the Holy Grail. We have made it top priority for our research investment at RNG Medicine Research Lab; first alternative research center in Africa to investigate and formulate evidence based alternative medicines to support the crusade against prostate health in Africa. Unfortunately, conventional diagnostics and treatment options for prostate cancer leave much to be desired. Conventional diagnosis includes PSA testing and biopsy, which are prone to false positives and carry risks of side effects. Treatment typically involves drugs, surgery and/or radiation, all of which are risky. There ARE safer, less invasive ways to diagnose and treat prostate cancer, however, so men would be wise to investigate their options. The problem is that we are yet to have Holistic Doctors who have specialized and have conducted extensive research into Holistic Urology in Ghana but gradually we are getting there. A number of safe and all-natural strategies have been shown effective against prostate cancer, including nutritional ketosis, exercise and supplements. It is my hope to train more specialized holistic Doctors to be able to provide evidence- based alternative treatment devoid of subjectivity. Most recently, researchers discovered a bioactive compound in the neem plant (Azadirachta indica) appears to have potent ability to quell prostate cancer. While exceptionally promising in rodents, nimbolide has not yet been tested in humans, so further research will be required. The team intends to continue investigating the compound to evaluate its efficacy in combination with commonly used prostate cancer drugs as well. That said, consuming neem either in supplement or tea form will automatically provide nimbolide. 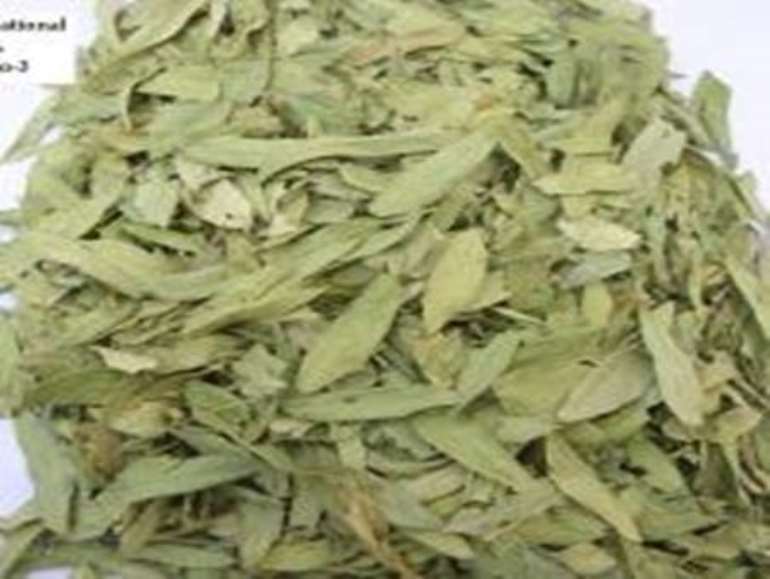 Even though the whole herb will provide only a small amount of nimbolide (compared to the straight compound given to the animals in this study), previous research has indeed found neem extract to be useful against prostate cancer. In 2006, researchers reported that. The neem tree is also considered to be a “village pharmacy” in India. Extracts of neem leaves, twigs, bark, seeds, and flowers are integral components of many traditional remedies in the Indian medical system of Ayurveda. 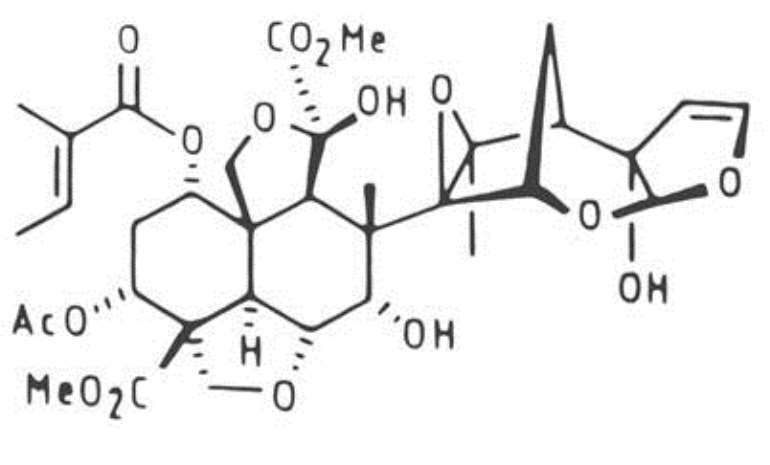 Leaves maily yield quercetin (flavonoid) and nimbosterol (β- sitosterol) as well as number of liminoids (nimbin and its derivatives). Quercetin (a polyphenolic flavonoid) is known to have antibacterial and antifungal properties. This may perhaps account for the curative properties of leaves for sores and scabies. Limonoids like nimocinolide and isonimocinolide affect fecundity in house flies (Musca domestica) at a dose ranging between 100 and 500 ppm. They also show mutagenic properties in mosquitoes (Aedes aegypti) producing intermediates. Fresh matured leaves yield an odorous viscous essential oil, which exhibits antifungal activity against fungi (Trichophyton mentagrophytes) in vitro. White crystalline flakes obtained from petroleum ether extract of leaves consisting of a mixture of C 14, C 24, C 31 alkanes were found to exceed or equal the lavicidal activity of pyrethrum extract. 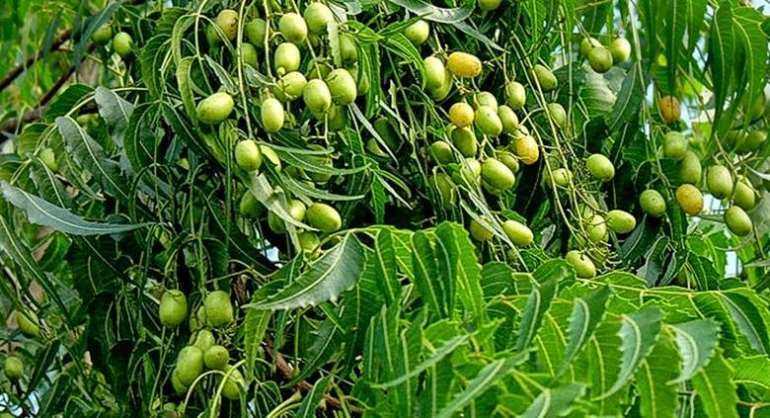 The principal constituents of neem leave include protein (7.1%), carbohydrates (22.9%), minerals, calcium, phosphorus, vitamin C, carotene etc. But they also contain glutamic acid, tyrosine, aspartic acid, alanine, praline, glutamine and cystine like amino acids, and several fatty acids (dodecanoic, tetradecanoic, elcosanic, etc.). Besides, the essential oil consisting of sesquiterpene derivatives, the flowers contain nimbosterol and flavonoids like kaempferol, melicitrin etc. Flowers also yield a waxy material consisting of several fatty acids, viz., behenic (0.7%), arachidic (0.7%), stearic (8.2%), palmitic (13.6%), oleic (6.5%) and linoleic (8.0%). The pollen of neem contains several amino acids like glumatic acid, tyrosine, arginine, methionion, phenylalanine, histidine, arminocaprylic acid and isoleucine. The trunk bark contains nimbn (0.04%), nimbinin (0.001%), nimbidin (0.4%), nimbosterol (0.03%), essential oil (0.02%), tannins (6.0%), a bitter principle margosine and 6-desacetyl nimbinene. The stem bark contains tannins (12-16%) and non-tannin (8-11%). The bark contains anti-inflammatory polysaccharide consisting of glucose, arabinose and fructose at a molar ratio 1:1:1 with molecular weight of 8,400. The bark also yields an antitumor polysaccharide. Besides polysaccharides, several diterpenoids, viz., nimbinone, nimbolicin, margocin, nimbidiol, nimbione, etc. have been isolated from stem bark and root bark. Besides β- sitosterol, 24-methylenelophenol and nimatone, the heartwood contains, calcium, potassium and iron salts. The heartwood on destructive distillation gives charcoal (30%) and pyroligeneous acid (38.4%). Neem wood contains cellulose, hemicellulose (14.00%) and lignin (14.63%), while wood oil contains β-sitosterol, cycloeucalenol and 24- methylenecyceloartenol. The tree exudes a gum, which on hydrolysis yields, L-arabinose, L-fucose, D-galactose and D-glucoronic acid. The older tree exudes a sap containing free sugars (glucose, fructose, mannose and xylose), amino acids (alanine, aminobutyric acid, arginine, asparagines, aspartic acid, glycine, norvaline, praline, etc) and organic acids (citric, malonic, succinic and fumaric). The sap is reported to be useful in the treatment of general weakness and skin diseases. Seed is very important both because of its high lipid content as well as the occurrence of a large number of bitter principles (azadirachtin, azadiradione, fraxinellone, nimbin, salannin, salannol, vepinin, vilasinin, etc.) in considerable quantities. Azadirachtin has proven effectiveness as a pesticide against about 300 insect species and is reported as non-toxic to humans. Neem kernel lipids are similar to the normal glycerides from other oilseeds and contains oleic acid (50-60%), palmitic acid (13-15%), stearic acid (14-19%), linoleic acid (8-16%) and arachidic acid (1-3%). It is brownish yellow, non-drying oil with an acrid taste and unpleasant odour. The quality of the oil differs with the method of processing. The composition of neem cake after the extraction of oil varies widely depending on the raw material used for expelling, for example, whole dried fruits, seeds or kernels. The range of the proximate composition in percentage are: crude protein 13-35, carbohydrates 26-50, crude fibre 8-26, fat 2-13, ash 5-18, acid insoluble ash 1-7. The bitter cake has no value as animal or poultry feed. Extraction of cake with 70% alcohol followed by hexane yields a meal free from bitterness and odour, which will be satisfactory as feed. The neem cake is rich in most of the amino acids. It is a potential source of organic manure and contains many plant nutrients, viz., nitrogen 2-3%, phosphorus 1% and potassium 1.4%. It also contains 1.0-1.5% tannic acid and has the highest sulphur content of 1.07 – 1.36% among the oil cakes. The neem cake contains a large number of triterpenoids, more of which are being discovered. Skin cleanser – Neem stops the growth of the acne-causing bacteria P. acnes, along with suppressing P. acnes-induced inflammation. Wound healer – a paste of neem leaves is applied on wounds, skin eruptions, and insect bites. When combined with turmeric, this paste is also used to treat skin itching, eczema, ring worm, and other mild skin diseases. Hair conditioner – Neem leaf extracts and paste are used to condition the hair and scalp and are believed to strengthen hair and promote hair growth. Anti-dandruff agent – water in which neem leaves have been boiled is applied to hair after regular shampooing to rid the scalp of dandruff. Eye cleansing and soothing – extract of neem leaves in water is used to wash the eyes and is said to offer relief from irritation, tiredness, and redness. Immune booster – consuming extracts of neem leaves and bark (again, made by boiling in water) are believed to increase overall immunity. These extracts also reputedly lower blood sugar levels and heal ulcers. Unlike the rest of the neem tree which is bitter, the white and delicate neem flowers possess a sweet, almost jasmine-like scent. They are used fresh, dried, or in a powdered form as food and as garnish in some Indian cooking traditions. Neem flowers are used medicinally to treat anorexia, nausea, and intestinal worms. They are also used in aromatherapy because of their calming effect. I quite remember growing up in my village; before toothbrushes became common, people in the village would traditionally chew away at neem twigs in the morning. Many people still do this. This habit helps to fight germs, maintain alkaline levels in saliva, keep bacteria away, heal swollen gums, and leads to whiter teeth. Finally, the twig also shreds into bristle-like threads that help to remove and prevent plaque. Neem oil – extracted from fruits and seeds of the neem tree – is rich in antioxidants and fatty acids. This makes it an ideal ingredient in cosmetics and beauty products such as soaps, hair oil, hand wash, and soap. Skin cleanser – 2-3 drops of neem oil diluted with water and applied on the skin helps to keep the skin clear, removing acne, blackheads, and helping to heal skin diseases. Skin toner and mosquito repellent – Neem oil contains high levels of vitamin E and is very nourishing for the skin, helping to maintain a balanced tone. When added to face packs, it helps to tone aging skin and relieves irritation and itching. It is also an excellent mosquito repellent. Natural shampoo – Rubbing neem oil into the scalp can strengthen hair, prevent hair fall, and remove dandruff. Apoptosis or programmed cell death is a genetically driven process that happens naturally all the time in the body. It’s a safe way to get rid of diseased and dying cells without affecting nearby healthy cells and tissues. Anti-cancer practitioners are also trying to eliminate cancer cells by inducing apoptosis selectively in them, without affecting normal cells. In this regard, neem is an excellent choice as neem extracts as well as purified neem compounds have been shown to cause apoptosis in cancer cells. Pancreatic cancer is the most lethal of all, with 94% of patients dying within the first five years of diagnosis, with no conventional treatment in sight. One of the most promising aspects of this study was that nimbolide did not harm healthy cells. 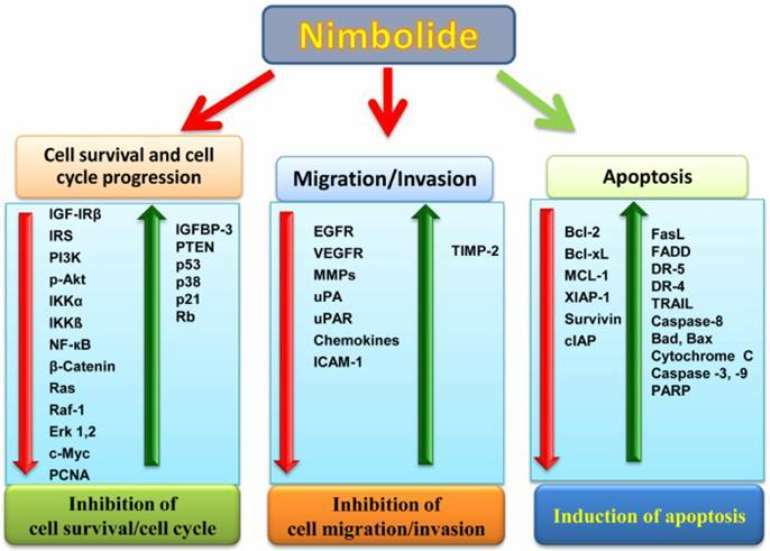 In other words, using nimbolide to treat pancreatic and perhaps other forms of cancer in the near future may not result in the toxic side effects that chemotherapy and radiation typically do. For instance, Cisplatin and 5-fluorouracil (5-FU) are well-known anti-cancer drugs with devastating side effects, especially because they also massively kill normal blood cells. Normally, another drug known as granulocyte colony stimulating factor (GCSF) is given along with these two anti-cancer drugs to try and minimize their toxic side effects. Interestingly, pretreatment with neem leaf preparation (NLP) has been found to protect blood cells in laboratory mice treated with Cisplatin and 5-FU. This means NLP could potentially be a safer and cheaper substitute than granulocyte colony stimulating factor. GCSF is not only expensive but is also known to promote angiogenesis and tumor development on its own! Extracts of neem leaves have been shown to enhance the actions of so-called “phase-II hepatic enzymes” such as Glutathione S-transferases and DT-diaphorase. Both these enzymes are known to be involved in detoxification of chemical carcinogens. Additionally, neem leaf extracts enhance the activity of various liver antioxidant enzymes. Amongst these are glutathione reductase, glutathione peroxidase, and superoxide dismutase, which are known to help in detoxifying the body. 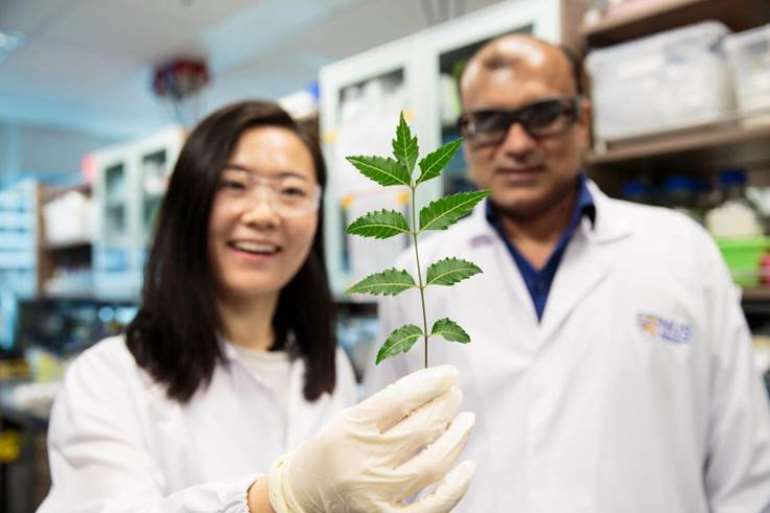 Recently published peer-reviewed studies carried out at the Chittaranjan National Cancer Institute in Kolkata, India, showed that a bioactive protein from leaves of the neem tree prevents cancer cells from growing in mice by doing exactly this. Instead of targeting the cancer cells directly, this protein – known as Neem Leaf Glycoprotein (NLGP) – acts on immune cells present within the tumor’s immediate surroundings, known as the “tumor microenvironment”. Normally, immune cells attack and destroy cancer cells. However, as some tumors grow, immune cells in their microenvironment become “enslaved” by cancer cells. In a bizarre role-reversal, these immune cells now begin to promote the growth and proliferation of cancer cells in the tumor instead of fighting them. In a dramatic twist straight out of a thriller, NLGP seemingly returns immune cells in the tumor microenvironment to a more normal state. It makes them hostile again to cancer cells and prevents them from growing any further. A good example can be found in one group of cancer-killing immune cells known as the CD8+ or “killer” T cells. When triggered by NLGP, the number of these T cells was seen to rise significantly, helping to restrict cancer growth. What’s more, these killer T cells also showed a greater cancer cell killing capacity when compared to killer T cells that were not treated with NLGP. Various parts of the neem tree and its extracts have been used by humans for medicinal purposes for hundreds of years. While the uses of neem seem limitless, precautions need to be taken and neem products should be used with care. Indiscriminate consumption of higher than necessary doses may sometimes cause unpleasant side effects. Some people are allergic to neem compounds – leading to itching, swelling of the mouth and throat, wheezing, and breathing difficulties. In very rare instances, some neem compounds may also damage the liver and kidneys. Therefore, it is always advisable not to medicate yourself with any products containing neem extracts or neem compounds. Always consult a trustworthy alternative healthcare provider first, and be sure to apply or consume these products under properly qualified supervision. Children: Taking seeds or neem oil may be unsafe for children. It can cause diarrhea, vomiting, drowsiness, seizures, coma, and loss of consciousness or even death. Avoid in children. Pregnancy: It can be dangerous to take by mouth during pregnancy, and may cause an abortion. Although not known enough, avoid its use. Infertility: If you try to have a child, avoid using it. Surgery: Because neem lowers blood sugar levels, it can interfere with your blood pressure levels during an operation. To avoid complications, avoid use 2 weeks before a possible operation. Ghana can be a medical powerhouse if the Health Ministry invests in the Herbal sector and we can save a lot of lives. It is rather unfortunate that kidney diseases are placed on herbal medication usage yet no one is unable to conduct research on the herbal products on the market causing this. So this is just a case of emotion medicine practicing. There are numerous side effect of conventional medication usage on kidney damage and will be providing you with evidence base articles on this soon. Always contact the expert in alternative medicine before using any alternative product. The Neem tree is now gaining the importance due to its wide scope of commercialization in the areas of agriculture, veterinary, cosmetics, medicine, toiletries and various industries. Neem is now becoming a popular in cosmetics and beauty aid. Some companies are now using Neem products (Neem oil and leaves) for production of cosmetics like facial creams, nail polishes, nail oils, shampoos, conditioners etc. The coating of urea with Neem products has been given priority to minimize the losses of nitrogen. Government of India has recently allowed fertilizer firms to produce 100% Neem Coated Urea – a move aimed at helping farmers boost income & reducing subsidy bill by up to Rs. 6,500 crore. Government of India has done away with the cap on Neem – coated Urea & now it can be produced 100%. It is a win – win situation for all the players in the field- the industry, farmers & Neem seed collection Agencies. The countries like India and many African countries having large number of neem trees are the major source of neem fruits and neem products. If commercial plantation and agro-forestry involving neem is popularized, the potential goes up significantly, with positive and large externalities for pesticides, fertilizers, livestock, dairying and other value-added products. Neem tree has great potential to help small and marginal farmers in rural Ghana. Farmers, who have limited resources, can benefit in many ways from neem. There are easily exploitable, employment and income generation opportunities in the cultivation of neem and processing of neem products, some of which are possible in a decentralized manner on the basis of small investments. Most of the developing countries have vast areas under marginal lands with low productivity. As neem has multiple uses, its crop on marginal lands can make a significant contribution to rural economies and with this government one District one factory project, this is one area they should consider. I am ready to help to shape the herbal sector for growth. Adequate supply of good quality neem seeds in a timely fashion is critical for the commercial success of Neem. In India, facilities already exist for extraction of oil from neem seeds. It is possible to use the pre-existing facilities for obtaining bitter extracts. However, unlike in the case of oil extraction, to get good quality Neem active extracts, the extraction procedures have to be of high standards. Proper care has to be taken in handling seeds at various stages including procurement, drying and storage. This is why at RNG we are employing ‘Bioenergization’ in our products yet to hits the Ghanaian markets. The Ministry of Science and Technology should also take this project up. I entreat the government to take this project as part of the One District One Factory project to produce products from this plant using our technology. The neem tree has been a source of safe and powerfully effective solutions for human health problems for many hundreds of years. Over the past few decades, modern scientific researchers have purified some of the active ingredients from this ancient “reliever of sicknesses” – and they are gradually beginning to understand their healing mechanisms. Dr. Raphael Nyarkotey Obu is a research Professor of Prostate Cancer and Holistic Medicine at Da Vinci College of Holistic Medicine, Larnaca city, Cyprus and President of Men’s Health Foundation Ghana. Dr. Nyarkotey is a noted authority in the alternative medical industry in Ghana who has conducted extensive research and specialized in Naturopathic Urology, Bioenergetic Medicine and Naturopathic Oncology. He is a registered Holistic Medical Practitioner by the Traditional and Alternative medicine Practice Council (TMPC) of the Ministry of Health. Dr. Nyarkotey’s goal is to provide extraordinary, personalized care for patients with problems in these areas. He works to try to find and treat the causes of patients’ problems, as well as helping relieve symptoms when appropriate. Often these causes are connected to issues outside of the problem area (urinary tract and/or kidneys) and so the whole person has to be treated. Codenamed ‘DOCTOR ON A MISSION’ to stop prostate cancer before it strikes! Ultimately to prove that there are learned and experts in the field of alternative health. His book “What everyman must know before & after 40years-Prostate Health is constantly being used by Oheneba Ntim Barima; a known researcher on Oman FM to educate the public on prostate health. Dr. Nyarkotey has published over 400 articles on prostate health and holistic medicine and most sought after practitioner in Natural Urology. His articles are well –researched with sound evidence and changing lives of many readers. He was recently named in the maiden edition of Ghana 40 under 40 Achievers 2017 and was conferred the Nigeria Legend Award by the Optimum Men’s Health Foundation in Ikeja, Nigeria for his crusade against prostate cancer.